Karpova, D. (2012) What foreigners think about Irkutsk [Otzyvy inostrantsev ob Irkutske]. Available from: . Kolmakov, Yu. P. (1972) Irkutsk. In: Big Soviet encyclopedia. 3rd ed. vol. 10. Moscow: Sovetskaya entsyklopedia. Lidin, K. L. (2011a) Jules Verne’s Irkutsk. Project Baikal. no. 29-30, pp. 6-9. Lidin, K. L. (2011b) The City as a Patient. Examining the City Emotional Atmosphere. Project Baikal. no. 29-30, pp. 33-36. Lidin, K. L. (2008) With a big bad mark in the diary. Image of the city in the epoch of market economy. Project Baikal. no. 13, pp. 12-16. Lidin, K., Gerasimov, L. & Gerasimov, Yu. (2006) Unvarnished Face. Project Baikal. no. 10, pp. 25-28. Lidin, K. L. (2006) Semantic environment as a precious property. The city in a bifurcation point. Project Baikal. no. 9, pp. 38-41. Meerovich, M. G. (2008) Social displacement of population: theory and practice (collective monograph section). The city in the mirror of the masterplan: the panorama of town planning projects in the Russian province of XVIII – early XXI centuries [Sotsialisticheskoe rasselenie: teoriya i praktika (razdel kollektivnoi monografii). Gorod v zerkale genplana: panorama gradostroitelnykh proektov v rossiiskoi provintsii XVIII – nachala XXI vekov]. Konysheva, E. V., Bakanov, S. A. & Nikitin, L. V. eds. Chelyabinsk: Izd-vo ChGPU. Mirotvortsev, N. & Gudoshnikov, M. (1935) Irkutsk. In: Big Soviet encyclopedia. vol. 29. Moscow: OGIZ. Shmidt, S. (2013) Tough guys don’t dance [Krutye parni ne tantsuyut]. Irkutskaya torgovaya gazeta. no. 23(528), 13 June, p. 3. Shperk, F. (1894) Irkutsk. In: The Brockhaus and Efron Encyclopedic Dictionary. vol. 13 (25). St. Petersburg. Zonov, B. V. & Krotov, V.A. (1953) Irkutsk. In: Big Soviet encyclopedia. 2nd ed. vol. 29. Moscow: izd-vo Bolshaya sovetskaya entsyklopedia. LIDIN, Konstantin. The Lake and the City. project baikal, Russian Federation, n. 37-38, p. 90-94, sep. 2013. ISSN 2309-3072. Available at: <http://www.projectbaikal.com/index.php/pb/article/view/571>. Date accessed: 18 apr. 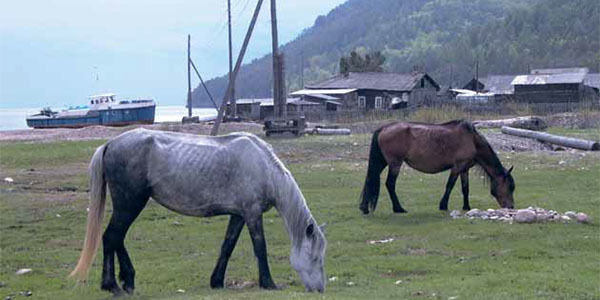 2019. doi: https://doi.org/10.7480/projectbaikal.37-38.571.